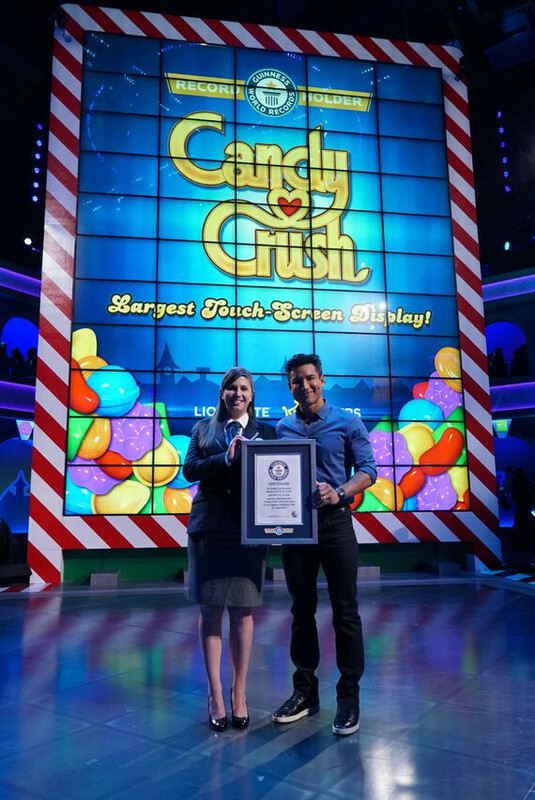 Candy Crush is one of the biggest franchises in mobile history, and it's now moving on to other media. The massively popular mobile game is soon coming to your TV, courtesy of CBS, and what we've seen so far from it looks both fun and ridiculous. Contestants will have to play various extreme forms of Candy Crush Saga, and some of them include massive touchscreens. So big, in fact, that they were awarded a Guinness world record for being the largest in the world. The screens are 30 feet tall and 20 feet wide, and there are actually two of them – one standing vertically and one lying horizontally. Each of them is made out of 55 individual 55-inch touch-enabled monitors, and are specifically designed to withstand massive amounts of abuse by the show's contestants. We're curious to see how the show will fare with audience and TV critics alike, and we won't have to wait long. The Candy Crush TV debut will hit CBS on July 9, 8:00 PM CST (9:00 PM PST / 7:00 PM EST). Is this really a plausible record? Stiching together 55 displays of 55-inches to achieve one display.. that's something just about any Display OEM can do. Heck, just about any consumer with the cash to purchase 55 touchscreen displays can achieve that as well. .....really? We get to watch someone play Candy Crush? I feel like a little kid that goes to a neighbors house just to watch a slightly older kid play a video game because I don't have a video game console. So they have decided to televise "let's play" streams. I thought YouTube and twitch already had this covered.